Good news! 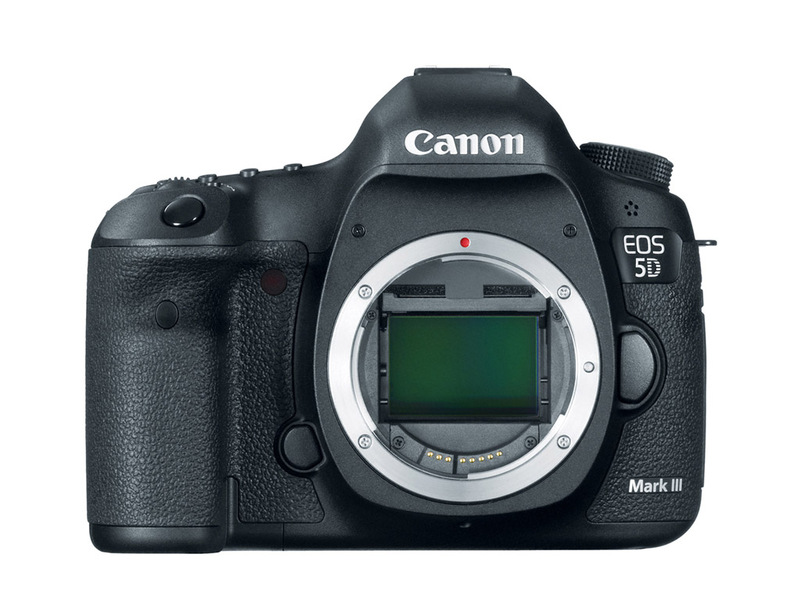 Canon releases the 5D Mark III. Bad news: Price tag is $3,500 here in the US. That's $1,000 more than I paid for my 5D Mark II. Seriously? So what do I get for that additional $1,000? 61-point autofocus, 6 fps, DIGIC 5 processor, and better weather sealing. Yes, yes, I know about better high-ISO performance and those other under-the-hood refinements. But I expect those when it's been 3 years since the camera has been updated. Don't get me wrong. I think the specs for the 5D Mark III look great. It will probably be one of the best DSLRs on the market. I would have been willing to pay $2,999 for it (but with some grumbling). But $3,500 in this economy where photographers are doing our best to keep business afloat, is too high. So instead, I'm gong to send my 5D Mark II in for a cleaning. Because for now, it will remain my go-to camera for assignments. I agree with your take. Great camera, but way too expensive. It's even more expense than the D800, which arguably has more features. I will stick to my 5D2 and wait for the 5D4. Derrick, as another 5D Mk II owner, I'm with you. Canon really irritated me with this one. I think I am with you on this one. I had really planned to purchase the 5DMlll but at that cost I will have to pass. Instate I will hold onto my 7D along with my 40D (backup) and look at purchasing the 5DMll. The price for that camera should be dropping or I may even look at a used one via BH photo. On another note have you tried out the new camera app (free) from SmugMug called Awsome: http://itunes.apple.com/ca/app/camera-awesome/id420744028?mt=8 for the iPhone 4S? I fooled with yesterday for a little while and it is really cool. Hopefully you may do a review on it. $500 more than a Nikon D800 is a lot, especially since Nikon did such a good job with that camera (based on my reading of the specs). I think most 5D Mark II owners would have upgraded to the Mark III given a reasonable business proposition. But this release for $1,000 more just doesn't make sense. Even if you "get the deal" by buying a bundled 24-105mm at a reduced rate, you're still spending over $4,000. I make my living with photography. I don't have an employer. I have clients. I have to calculate a return on investment for my purchases. This doesn't make business sense. At the rate they are going, the 7DmkII will be $2500 and the T4i will be $1250. Seems they're on a different planet than I am. It seems like the technology is maturing, which makes it less compelling to upgrade every cycle anyway. I'm not a professional, so I realize my needs are different; but I haven't been in a lot of situations where 12MP (on my D700) didn't seem like enough. And, for video, I actually prefer a dedicated video camera - so upgrading for the video capabilities isn't a big deal to me. I agree the price is in the stratosphere. The only way Canon is going to get the message is if no one buys them. Who says you have to buy the latest version of a camera anyways? It's not just the cameras though. What shockes me is the new $600 flash they announced too. Sure it has radio frequencies to fire it, but $600. Really?? Or the new 27-70L. The ironic thing is the B&H ad that is advertising the 5d Mark 3. Wow, can't believe the price. I have been a faithfull Canon shooter since I started using DSLR's. I own both the 5D and 5D MKII and was so looking forward for the MKIII, but $3,500 is very disapointing. I was expecting $2,500, possibly $2700 at most. Seems Canon does not care that Nikon is giving their customers a better value with the D800 which seems to be a more advanced camera. Almost makes me regret I chose Canon in the first place. Oh well, I will not pay that much to upgrade to the MKIII. I guess i'll have to put off upgrading this year and maybe explore selling all my Canon gear and switch to Nikon in the future. Hi Derrick - long time no chat! For an opposing viewpoint, jump over to my blog http://planet5d.com/5D3 - I got to go to california to see the 5D3 and my short answer is I have one on order! I was very impressed. Tho I will also say I would have liked to have seen a couple of hundred dollars lower. And I'd love to try out the D800 side by side - tho when I looked at the specs on the D800, I see the 5D3 winning that battle. I'm not hearing great things about the video side of the new Nikons but we'll have to see. Anyway thanks for your post. I always love to read opposing viewpoints - it keeps me grounded. I'm usually the first kid on my block to get new gear. However, I don't see the Mark III as a huge upgrade over the Mark II for what I do. I use my Mark II mostly for landscapes... for which it is fine. Low light and more focus points really don't impress me because I use a tripod and can shoot long exposures. For video, the 5DII is still great... I've already got plenty of the workarounds for its shortcomings. Plus, I have a dedicated video camera for most pro work. I'd rather spend my money on a C300 video camera than a slightly improved 5DIII. Sorry Canon. If I wrote an article about the Mark 3, it would pretty much be this article word for word. Even if my camera broke today and I could afford the new one, I would probably still buy the Mark 2 and save a lot of money for a lens. Speaking of lenses, why almost $1000 more for the new 24-70? This is a good conversation with a variety of viewpoints. The real issue, as I see it, is the price, not the camera specs. I have a feeling that most photographers would agree that the specs and performance of the 5D Mark III will be competitive in its class. And who knows, may end up top of class. The price is the issue. Canon is basically offering us the upgrade we expected in terms of spec, but for $1,000 more than the previous model. This violates a basic rule in technology. Generally we see next generation cameras, smart phones, tablets, and computers with the same ballpark price as the previous models. Now if Canon wants to define a new class, and charge more for it, then they need to give us something different than the 5D Mark III. Right now, it just looks like they think they can get $3,500 out of us, so they are going to charge that. We'll see how that works out for them. the 5dIII is sure a great camera. But as studio only fashion still photographer there is no need to uppgrade. and when it comes to the price... nikon has more to offer for studio photographers for less money. Try Canada. It's $3800 up here, and our dollar is more or less on par with the USD lately. Four grand with tax! So agree - Canon $3,500 for a friggin headphone jack? If you think CA$3800 is a rip-off, pity us in Australia. Here, RRP is $4399 (http://www.gizmodo.com.au/2012/03/canons-eos-5d-mark-iii-will-cost-from-4399/) - and our dollar is 10% STRONGER than the US dollar! I have a couple explanations for the price increases across the board with Canon DSLR equipment. Neither are particularly satisfying, unfortunately. First, Canon's recent financial performance, which was so disappointing that the company's president had to step down, may be driving the attempt for higher margins. Canon's expecting DSLR growth to continue, but its other imagng divisions - compact camera, printing, etc. - are expeced to be flat-to-down going forward. I'm certain this expectation is putting a lot of pressure on the DSLR division to produce even higher margins to 'make up' for the declining sales in other divisions. Needing higher margins would result in these kinds of price increases. A second explanation is that Canon believes that demand for its DSLR bodies and lenses is pretty inelastic. For example. If Canon projects that unit sales will be lower by 20% at these higher levels but the margin per unit is 30% greater, but they'll still make more money in the end, and it'd be hard to argue they're wrong to do so. A third possibility is that Canon's marketing team will be applying its consumer product variable pricing programs to pro-level products. They'll grab as much revenue as they can from the early adopters, and then push forward on aggressive instant rebates and short term MAP break programs with retailers when demand at the higher price levels softens. They could potentially carefully calibrate demand to supply with these hypothetical pricing initiatives. Like i said, none of these theories are particularly encouraging. You have to explain that. What do you mean, no longer has Full HD video? Wow, it amazing to me how anyone can scoff at $3500 bucks for such an amazingly versatile piece of gear when anything close to the abilities of this thing is the video camera realm us upwards of $6000! Of course outfitting the 5D Mark III adds to the $3500 significantly, its still a bargain! My bad, you are right, Steve! I think they will sell them at this price to bleeding edgers then lower the price to $2999 after the sales slow down. It is $500-$700 too much, but I ordered one. The way I see it is that Canon see this as a great marketing ploy. Still keep the 5D MKII in production and sell it for around $1000-$1500 less than the MKIII. It will hook people into getting a 5D MKII or a 7D or both because you could buy the two for the same price as the 5D MKIII. This will lock their consumers into their product line and for most people who heavily invest in a system it will be hard to change. I like most think the specs on the new 5D MKIII are awesome put the perceived value does not justify $3500. I will just wait another year or so when Canon realise that they are loosing sales to Nikon and other competitors and drop the 5D MKII completely and the price of the 5D MKIII. Derrick, we had a bit of this conversation on Twitter. I'm a sports photographer currently using a 7D and a 1dMkIII. The 7d works great for low light situation at 8fps, while the 1DmkIII at 10 fps is ok at low light, but needs to be higher. I love the focusing system on the 7d, but absolutely hate the 1DmkIII. I'd been saving my $$ for the 1DX to replace the 1dMKIII. I think the two would be a good combination. I can't find a good reason to get rid of my 7D. It does well with low light (not quite as good as I need in extreme situations), shoots fast and the 18mp crop sensor comes in handy when I need long lenses. The 1DX has a full-frame sensor, MUCH better low light at 12 fps and a focusing system based on the 7D with improvements. BUT, it's almost $7000. I look at the new 5dMKIII as having almost all the features I've been saving for at about half the price. It's got a similar full-frame sensor, much better (2 stops) of low light capability and the same type of focusing system as the 1DX and 7D. I can live with the lower fps. I've still got 8 fps with the 7D and find that to be plenty. I'm not a 'spray and pray' type of sports shooter. I tend to shoot a series of 2 shot bursts throughout the action and I've shot sports with less than 6 fps before without much trouble. If people weren't expecting Canon to take the opportunity to jack up the prices a bit, then they haven't been paying attention to the prices of the new lenses that they've been releasing! A lot of them have been remakes of current models with much higher prices. I don't agree with the approach, but there is a pattern. I'll definitely rent one first, but if it works out the way I expect, I'll probably buy the 5DmkIII and save the other $3500. Whether the new features are worth $3500 or not in and of themselves isn't the point. Canon is in a competitive market. I've heard of lots of people who switched to Canon for the 5DII's video capabilities. When they look at the Mark III's spec sheet compared to the Nikon D800, I think we'll see some people jumping ship. The upgrades seem incremental to me and raising the price dramatically seems like something you can only really get away with when the upgrade is groundbreaking. Not the case here. I wonder if part of the pricing has to do with the fall of the US Dollar. I'm not sure how it's performed against the yen, but it's fallen against a lot of currencies. It could be Canon wants more money because $2500 US doesn't buy what it used to. I was holding out to upgrade my 30d but this 5d is just too much money. 3500 beans is insane for something that got improved and not revamped. plus it is inching closer to the 1D. is it wrong of me to think about jumping camp? i've always had a soft spot for the lil things Nikon provides also e.g. Screen protector, d800 pop up flash etc.